Sarah Franklin is a journalist, university lecturer, book reviewer and novelist. Having lived in the USA and Ireland, it was her native Forest of Dean - and the threat to its future - that inspired her to write her first novel. As well as running a successful literary night in Oxford, and broadcasting on local radio, Sarah is a senior lecturer at Oxford Brookes' Oxford International Centre for Publishing Studies. Sarah grew up in Tutshill and attended its Church of England School, later progressing to Monmouth Girls' School. After spending a gap year working as an au pair in Austria she read French and German at the University of Cambridge. She subsequently went to live in Germany. By the age of 23 years she had lived in many different cities and landscapes. In her early thirties Sarah moved to the USA and then Dublin for what became a seven-year absence from the UK. In 2010 she returned and took up a post as a lecturer in publishing at Oxford Brookes University. 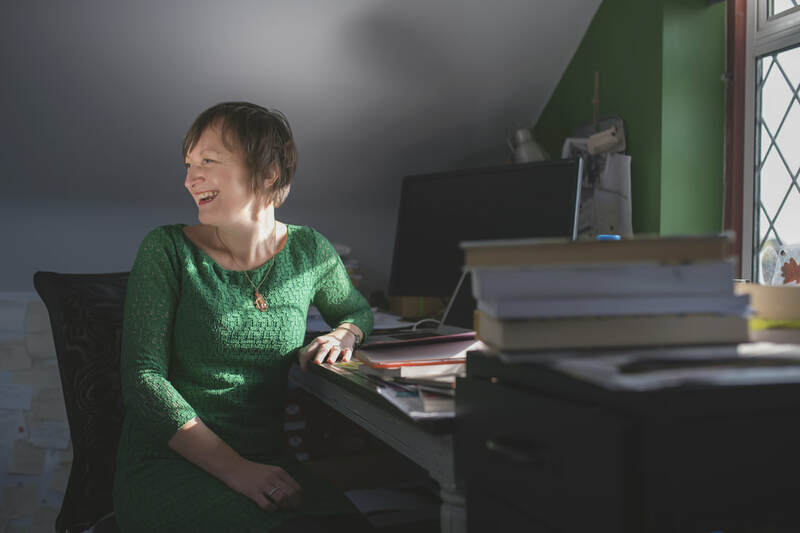 Sarah is founder and host of popular Oxford literary night, Short Stories Aloud, and now a Senior Lecturer at the Oxford International Centre for Publishing Studies, and a judge for the Costa Short Story Award. 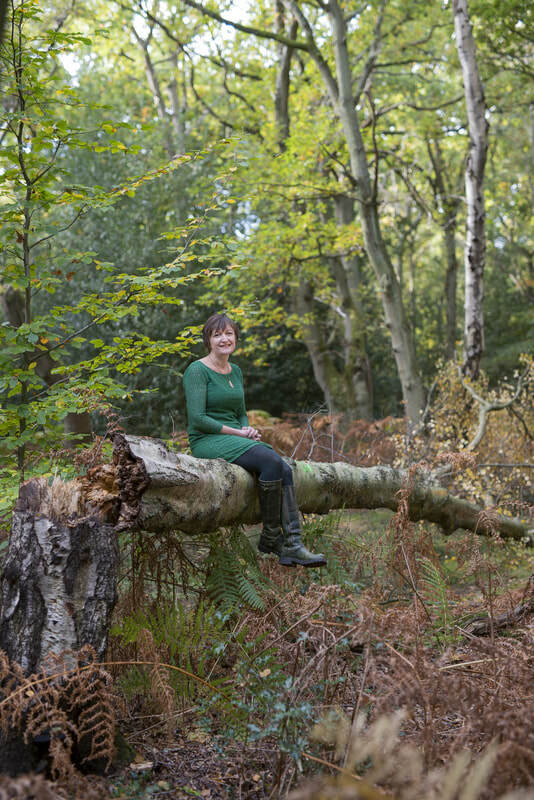 Sarah has two children, an Oxfordshire home and regularly visits the Forest where she has family and friends. Sarah’s passion for writing began at an early age with contributions to the school magazine and the composing of what she describes as the ‘requisite anguished teenage poetry’. She lost confidence in writing at University and later wrote an unfinished novel. However, her love of literature led her to find work in publishing. In the USA she began writing non-fiction. She wrote for the Guardian, Psychologies magazine, The Pool, the Sunday Express and the Seattle Times. Her creative non-fiction was published in anthologies in the USA and appeared on radio affiliates there. She was awarded a mentorship under the Jerwood/Arvon scheme to work on her debut novel, SHELTER, published by Bonnier Zaffre in July 2017. Sarah in conversation with Jo Durrant. Recorded at Coleford Library on 23rd March 2018. Thanks to Jo, The Main Place, and Gloucestershire County Libraries. This was a contradictory time for the forest; it was simultaneously being used as a sanctuary and a resource. GIs stored D-Day munitions in the Forest, evacuees were sent from Birmingham, and a POW camp housed Italian and, later, German prisoners, who were set to work in the forest. The newly-formed Women’s Timber Corps had its training HQ in the Forest of Dean, with hundreds of girls and women filing through to learn how to manage Britain’s timber stocks. At the same time, the forest itself was being literally taken apart as demand for timber – for use as pit props, as replacement masts for ships, for rehabilitation and home-building after the Blitz – increased as a result of the war. Sarah drew on work she had done on her O-level history project on the Home Front in the Second World War, ‘a brilliant starting point’, and was particularly grateful for the support of the Dean Heritage Centre. started to think about what it might be like to end up in such a potentially alien environment, for some, perhaps initially against their will, and from this the characters in Shelter were born. Her leading character is a strong, complex female. Connie is a lumberjill whose factory life in Coventry comes to an abrupt end and who is seeking temporary sanctuary in the forest whilst she works out how to move forward with her life. The tensions between a life of secure tranquility within the Forest and aspirations afforded by a more glamourous and opportunity laden wider world, might again be a tension the author has shared with the character. The mix is given added spice when Connie is paired for felling work with Seppe, an Italian POW who has found the first peace of his life as a POW working amongst the trees, far from the threat of his violent fascist father and war.